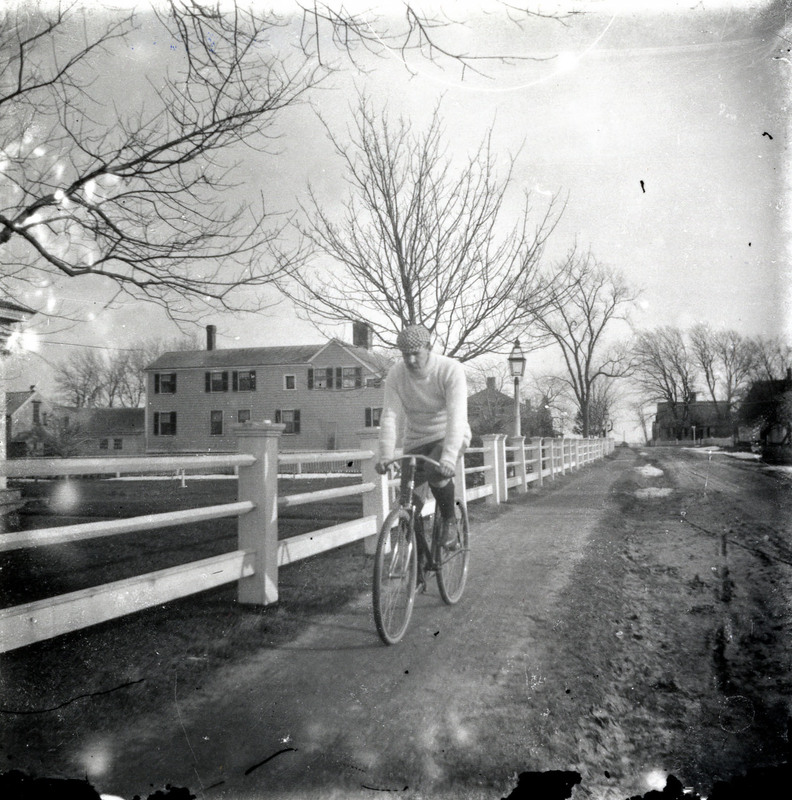 William Facey Photographic Collection: The collection consists of 171 glass dry plate negatives found by Charles Rogerson in the attic of the former Facey home on Surplus Street, Duxbury, MA as well as prints reproduced from many of those negatives. The negatives were taken by William Facey, a telegraph operator and Duxbury resident, from approximately 1895-1905. The images depict a variety of homes, people and landmarks located in Duxbury, MA at the turn of the 20th century. A significant portion of the collection depicts everyday life in Duxbury and includes children and water scenes. In addition, there are images of the local destruction caused by the “Portland Storm” of 1898. I love the picture of Facey on the bicycle! I had seen the picture before, but at much lower resolution. He is pictured in front of our house, although the house is out of view to the left. A few years back I rebuilt the fence, duplicating the original as exactly as possible, and re-using some of the boards. You can just see in this picture a section of the fence that can be lifted out to let a wagon in; I was able to restore that section in rebuilding.